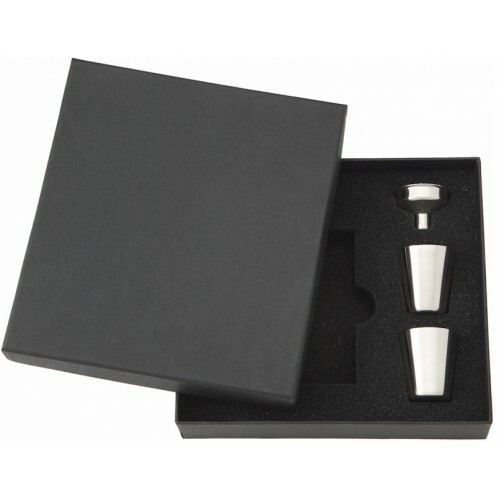 This 6oz hip flask is made from premium quality 304 stainless steel. 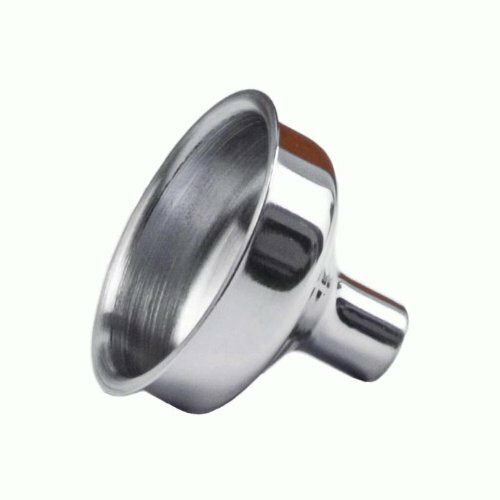 The flask has a unique, and one-of-a-kind design available exclusively at flasks.com. 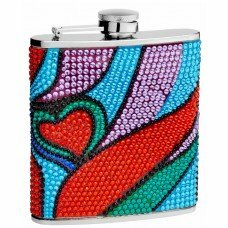 This intricately designed pattern features waves of color and a heart. 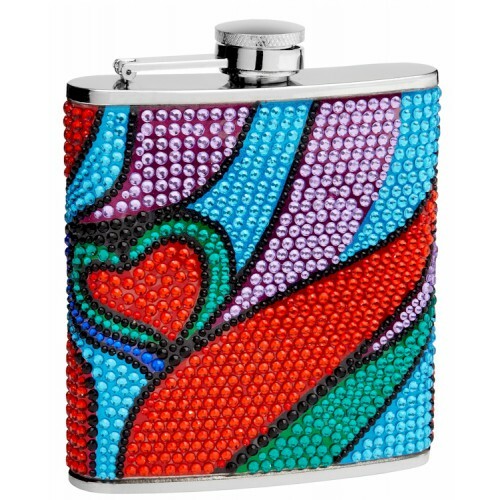 The flask body is filled from top to bottom with actual rhinestones and beads as well as a colorful background behind the beads. Because there are so many beads this flask cannot be personalized simply because there is no room to do so on the flask. This is a feminine design and is perfect for bridesmaids and other bridal party members.